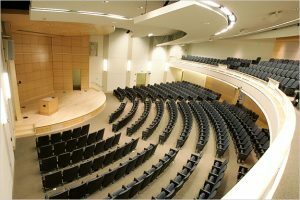 A warm and welcoming performance space located at 88 Bedford Street on the USM Portland campus, Hannaford Hall is an intimate 520-seat venue with ground floor and mezzanine seating. An attached 1,200-car parking garage makes accessing the performances convenient and hassle-free. From I-295, take exit 6B (Forest Avenue North) in Portland. Off the exit, immediately move to the far left lane on Forest Avenue to prepare for a left turn at the first stoplight (intersection of Forest Avenue and Bedford Street). Turn left onto Bedford Street at the stoplight and continue underneath the USM Alumni Skywalk. Immediately after the Skywalk, turn left onto Surrenden Street and continue into the USM Parking Garage. If approaching the campus from Brighton Avenue, follow Brighton Avenue towards downtown until it turns into Bedford Street. Turn right onto Surrenden Street immediately before the USM Alumni Skywalk, and continue into the USM Parking Garage. Parking: It’s easy and it’s free! Take a parking ticket when you enter the garage and have it stamped by Continuing Education staff. When you leave, present it for validation at the parking office on the lower level of the garage. 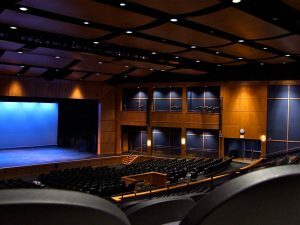 A truly state-of-the-art 1,000-seat theater that is located at 471 Stroudwater Street in Westbrook, just minutes from downtown Portland, and has free parking available. Westbrook Middle School will be on the LEFT. Open air parking available on site. Westbrook Middle School will be on the RIGHT. Open air parking available on site. Reaching out into Casco Bay and welcoming newcomers to Portland, Ocean Gateway is the City’s newest waterfront jewel. From I-295, take EXIT 7 (Franklin Street). On Franklin Street, go to the 7th traffic light and turn LEFT onto Commercial Street. Continue STRAIGHT through the stop sign at India Street (Commercial becomes Thames Street). 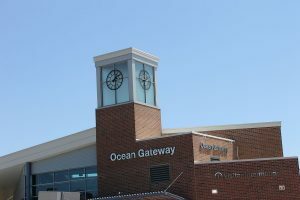 The Ocean Gateway Visitor Center is the building with the clock tower, located on the right hand side of the street. 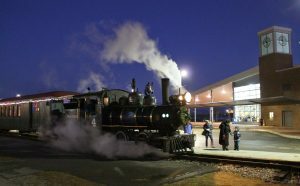 This is where you will board the train. Limited street parking is available. 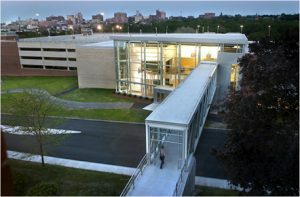 Suggested parking is the Ocean Gateway Garage (167 Fore Street, Portland, ME 04101 – there is a fee for parking). A live music venue with an intimate, club atmosphere located at 504 Congress Street in Portland’s downtown arts district. 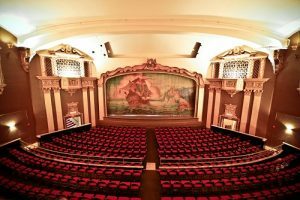 All shows at Port City Music Hall are standing-room only with limited reserved seating complete with table service. Merge onto Forest Avenue and continue straight & uphill until the street ends at Congress Street (5 traffic lights). (PARKING GARAGE: paid parking entrance on RIGHT just after 4th Traffic Light at Cumberland Avenue intersection. 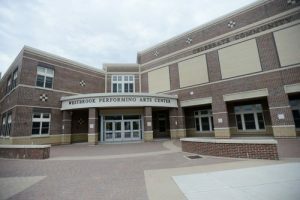 Port City Music Hall is about a quarter-mile/5 minute walk from garage). Turn LEFT onto Congress Street. Go past Oak Street; your destination is on your right, just after the Maine College of Art & Design building and before the light at Brown Street (2nd Traffic Light). 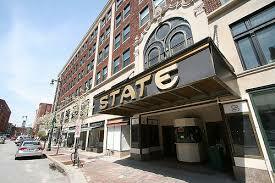 The State Theatre is a historic theater located at 609 Congress Street in downtown Portland, Maine, which features a combination of Moorish and Art Deco architecture and plays host to a wide variety of bands. Merge onto Forest Avenue and continue straight & uphill until the street ends at Congress Street. Turn RIGHT onto Congress Street and stay to the right. At the High Street intersection look straight across to see The State Theatre up ahead on the right side of Congress Street. For Parking turn RIGHT onto High Street (one-way). Paid parking is available in the Parking Garage on the right side of the street (alternate garage entrance is around the block on Forest Avenue). Street parking may be available on the surrounding street. The splendid gothic architecture and the excellent acoustics make St. Luke’s a wonderfully hospitable venue for music. From either north or south of Portland take I-295 to Exit 6A. Take a slight Right through Deering Oaks Park to State Street and follow it up the hill, after you pass Congress Street the Cathedral is at 143 State Street on your left. With the exception of three parallel parking spaces along the parish hall marked volunteer, there is no parking during the week at the Cathedral, so your best bet is to park on the street. Etz Chaim is located in the Downtown Portland Historic District, on the peninsula at the foot of Munjoy Hill. Etz Chaim will be on your right. Limited street parking is available. Suggested parking can be found here.